Several years ago, I moved into a four-bedroom house that my brother had just vacated. After a few weeks, strange things started to happen. At first, I thought I could always see a little girl’s shadow following my oldest son, who was 11. My second youngest son, who was eight at the time, slept in a room alone. There was always a strange presence in the room when we walked into it. She also owned a doll, and every time at around 2pm it started talking on its own, even when it was turned off. Many times when I left my bedroom door, I could hear people talking, and I would see strange lights on my door. They seemed to be the kinds of lights you would get if the TV was on, in a dark room. One night my daughter was taking a nap at around 8pm. She suddenly woke up to see our dog barking at a corner. When she looked into the corner, she saw a man staring at her. One night my youngest son, crawled out of his cot and walked into the living room and just stared outside. I picked him up and put him back to bed. After a while, lights started flickering on and off. So we just moved. Very interesting! It was clearly haunted! 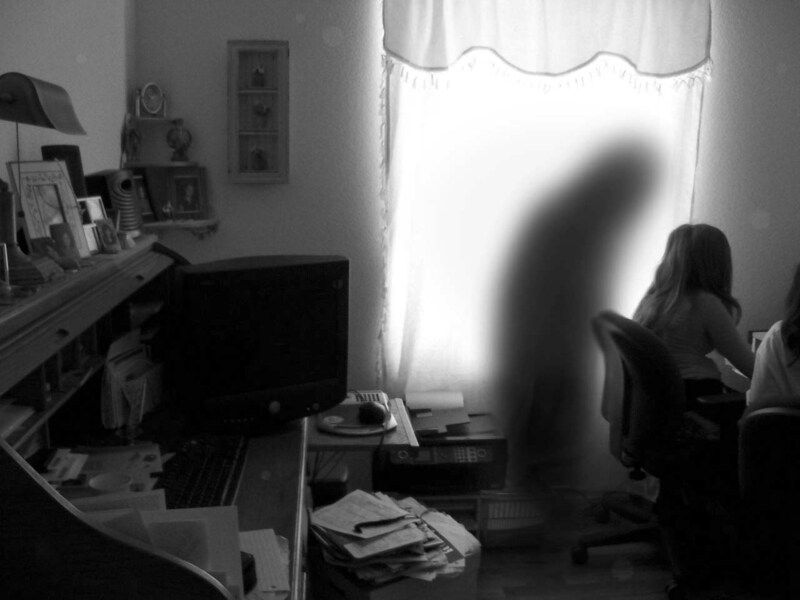 Home » Uncategorized » Is My House Haunted?